We’d love your help. Let us know what’s wrong with this preview of The Experience of Samadhi by Richard Shankman. To ask other readers questions about The Experience of Samadhi, please sign up. UPDATE. Quite recently, I encountered these lines,which,I believe, are of great import to the definition of the concept of samadhi. intention; but neither UPDATE. Quite recently, I encountered these lines,which,I believe, are of great import to the definition of the concept of samadhi. of surviving long-dwelling experiences without sustenance"
Gautama Buddha, after six years of seeking the truth and Jhana*, by fasting and meditation… found out he was feeble and emaciated; he concluded: that was not the right way (SELF-MORTIFICATION); he took compassion for his body and fed himself. As to Jhana, he recalled he had had his first one--a blissful state-- while a child: near the rose-apple tree. Upon attaining Samadhi he endeavored to recollect past lives and destroy all sorts of taints. 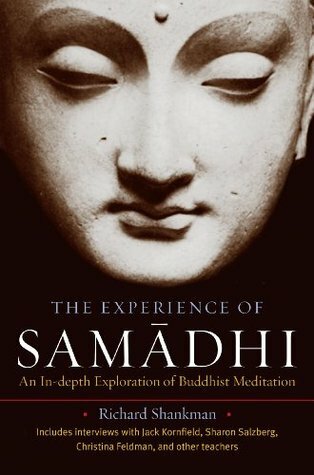 The book offers a complete defining-approach to the concept of Samadhi (meaning: UNDISTRACTEDNESS), by recourse to the several texts of the various Buddhist traditions (18 distinct schools had appeared after Gautama's death) as well as a section of interviews the author had with some teachers of meditation. Some of the meanings of samadhi discussed are "unification of mind" and "one pointedness of mind"; yet,somehow, as synonymous. Of course, recourse is made to the scriptural writings of THERAVADA (meaning "School of the Elders") Buddhism, the preminent school that survived to our days. Those are the Pali Canon. Recommends it for: All students and practitioners of Buddhist meditation. This is a fabulous and much needed book! There is so much confusion regarding what samadhi is, how is it different from jhana, what level of concentration or jhana is required -- if at all -- for liberating insight etc. Shankman doesn't take sides here. He presents the teachings as found in the Pali Canon; then the teachings as found in the Visuddhimagga, the most famous and important commentary on Buddhist meditation. He compares their differences -- and there are many, and some are quite profo This is a fabulous and much needed book! There is so much confusion regarding what samadhi is, how is it different from jhana, what level of concentration or jhana is required -- if at all -- for liberating insight etc. Shankman doesn't take sides here. He presents the teachings as found in the Pali Canon; then the teachings as found in the Visuddhimagga, the most famous and important commentary on Buddhist meditation. He compares their differences -- and there are many, and some are quite profound! For instance, the strict delineation between samatha and vipassana is not really to be found in the suttas; it's an 'innovation' of Buddhaghosa. Richard Shankman has done every sincere Buddhist meditator a huge and much appreciated service in researching and writing this book. I have now read this book twice and cannot but thank Shankman for so clearly, and so without bias, outlining the various approaches to Samādhi and Jhāna. Those who would like a clearer grasp on what Samādhi and Jhāna entails and how to realistically approach (and, hopefully achieve) them, should do themselves a huge favor and buy and read, and re-read, and re-read th Richard Shankman has done every sincere Buddhist meditator a huge and much appreciated service in researching and writing this book. Those who would like a clearer grasp on what Samādhi and Jhāna entails and how to realistically approach (and, hopefully achieve) them, should do themselves a huge favor and buy and read, and re-read, and re-read this book. A unique book. The first half is devoted to the study of concentration meditation, samatha, jhana and samadhi, as described in the Pali suttas (sutras) and the commentarial work known as the Vissudhimagga (written in the 5th century). This section of the book may come off as dry if one has only a passing familiarity with Buddhist concentration exercises, but really comes alive once one's practice begins to deepen. 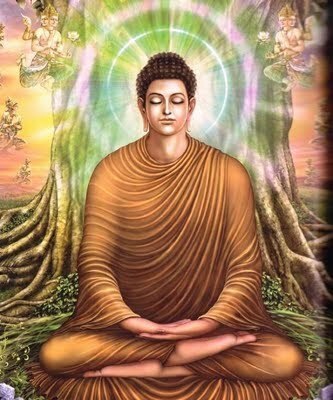 In short, the path is well known and has been since the time of the Buddha. These A unique book. The first half is devoted to the study of concentration meditation, samatha, jhana and samadhi, as described in the Pali suttas (sutras) and the commentarial work known as the Vissudhimagga (written in the 5th century). This section of the book may come off as dry if one has only a passing familiarity with Buddhist concentration exercises, but really comes alive once one's practice begins to deepen. 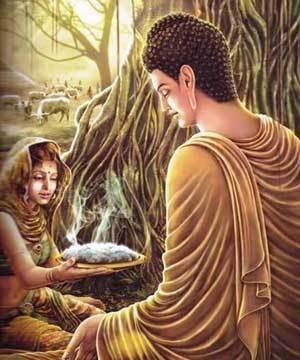 In short, the path is well known and has been since the time of the Buddha. These writings, commentaries and interpretations serve as useful guides and lend great insight to practice. A very comprehensive book for general readers as well as enthusiastic meditators. The book is full of insights, particularly the second part interviews with contemporary leading teachers. Definitely worth to read again. This book was very helpful in explaining a lot of words I've heard in dharma talks, but never quite understood. And I loved the interviews in the last half of the book. An overview of different interpretations of what constitutes the concentration practice in Buddhism. I enjoyed the interviews section with teachers of concentration practices. The book is definitely worth reading, but I'm not sure if it's worth owning. Part I is written in a dull style; Part II, however, is great. So good I plan to read it again. A roadmap to those who are interested in samatha meditation. Different beliefs, different textual sources. struggled with the descriptions of the different levels of samadhi, but the practitioner stories at the end are great. Richard Shankman lives in Oakland, CA. He has been a meditator since 1970 and teaches classes and meditation retreats at dharma centers and groups nationally and internationally. Richard is the guiding teacher of the Metta Dharma Foundation , and co-founder of the Sati Center for Buddhist Studies and of Mindful Schools. He has sat many silent, intensive meditation retreats for periods up to eleve Richard Shankman lives in Oakland, CA. He has been a meditator since 1970 and teaches classes and meditation retreats at dharma centers and groups nationally and internationally. Richard is the guiding teacher of the Metta Dharma Foundation , and co-founder of the Sati Center for Buddhist Studies and of Mindful Schools. He has sat many silent, intensive meditation retreats for periods up to eleven months long. Richard has been active in bringing dharma and meditation practice into prisons, jails and drug rehabilitation programs in California. Richard is the author of The Experience of Samadhi: An In-Depth Investigation of Buddhist Meditation and The Art and Skill of Buddhist Meditation: Mindfulness, Concentration and Insight. Richard holds a BS degree in Electrical Engineering and an MA degree in Philosophy and Religion, with an emphasis in Buddhist Studies.